The latest research proves that marketers will be depending on video to help them do their jobs in 2019. Business performance is an important area for marketers, and video is often one of the most effective tools. Video production is more cost-effective than ever. Some people are still rather intimidated by the idea of video marketing, but our comprehensive video editing program, Movavi Video Suite, will soon dispel that myth. This program walks you through creating professional videos and slideshows, one step at a time. It’s easy-to-use, even for people with no video editing experience. Here are seven great reasons for you to enhance your business strategy with the help of Movavi Video Suite. Many people prefer watching to reading. A site with video attracts more users than a site with just text, and this is why the future of marketing lies in using video. According to HubSpot Research, most consumers want to watch videos from brands – it motivates them to make purchases. This type of video can be a demo, event, expert interview, educational, or how-to. When you can actually see a productor service in use in a video, it’s much easier for people to connect with its value. 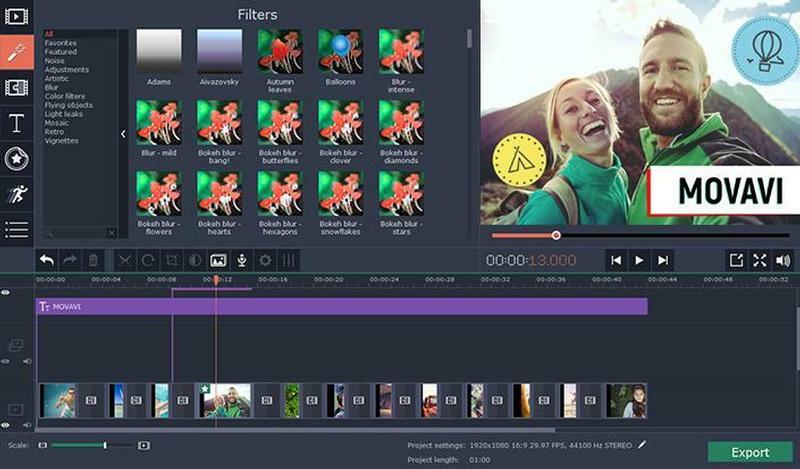 Movavi Video Suite lets you edit your videos any way you like – no matter whether you shoot one video or many different videos on different cameras, you can convert your files to any popular format in Video Suite. You can reduce support requests if you know the users’ needs. Sometimes people have problems understanding or using certain aspects of software programs, so Video Suite lets you make a screen recording showing how to use various software functions. To create a kind of video manual or instructions for users is easy – you can capture video from cameras, VHS, TV, or direct from your computer screen and just cut out any elements you don’t want or need. Tutorial videos are one of the most powerful video marketing tools. You can teach customers how to use your service or product and provide useful tips. As a result, people will spend more time on your website watching these kinds of video. Video Suite even lets you record sound, add music, and incorporate additional explanations. The more people watch your video, the more customers you will draw in. To really work as a sales tool, a video should be centered around a story, not a sales pitch. Try to focus on the value for your customers and they will watch your story. Include photos, give examples, demonstrate product or service features. Video Suite lets you create a slideshow from engaging photos to convey your story in pictures, then share it online to further enhance your video story. According to research from Visible Measure, 20% of viewers click away from a video in the first 5–10 seconds, so make your story engaging from the very beginning. The emotive power of video appeals to consumers’ desires, and is an important component in your marketing strategy. Be sure to include a call to action at the end of your video that fits with your story. How do you keep viewers’ interested until the end of the story? One way is to make it look professional by using stock video footage – one more option with Movavi Video Suite. Do not make a boring video: monotonous explanations of product use are just not interesting. Make sure you understand your audience’s preferences clearly. People like to laugh and relax while watching videos on the Internet. That is why funny stories and captivating images work well. Branded videos are becoming more and more popular, so follow this trend in your marketing strategy. It is not hard these days to produce high-quality content. People are always looking for something new, so give them what they want! It’s time to make video a key part of your marketing strategy for 2019. What is on the horizon in 2019 for the public sector?